On a sunny weekend afternoon, the outdoor tables at Tia’s are full of customers and the scent of fresh corn tortillas is in the air. The new business has become a fast hit in the months since it opened, dishing up farm-to-table Mexican fare. 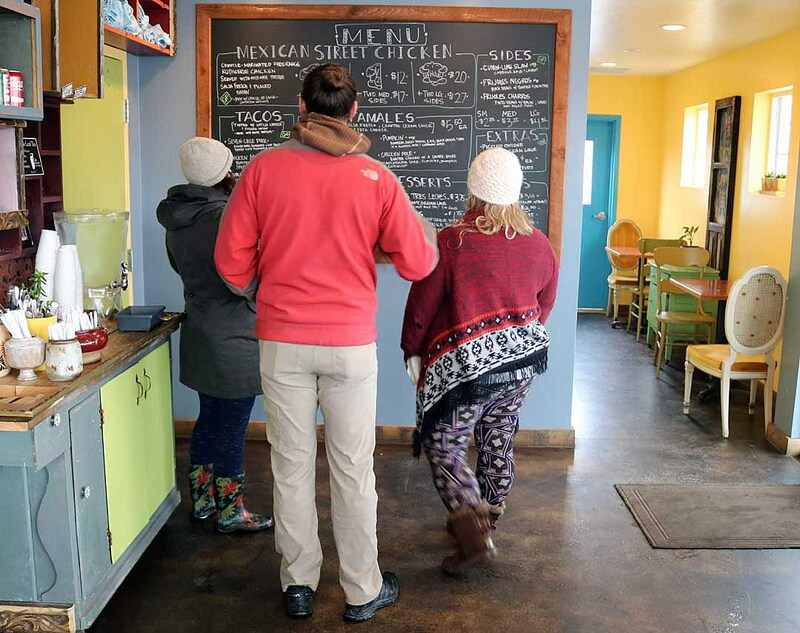 Kim West, who opened the restaurant last September with her partner Kari Brittain, took the success of her food truck – Tia’s Tamales – and turned it into the newest attraction on West Broadway. While it’s a long way from Central America, where she learned the art of making tamales, the niche cuisine has been a hit in Missoula, and it’s helping transform a district that once longed for a brighter future. West landed in Central America by happenstance. She’d set sail from San Francisco with the goal of sailing around the world. That dream took a diversion off the Central American coast, where Costa Rica begged closer attention. 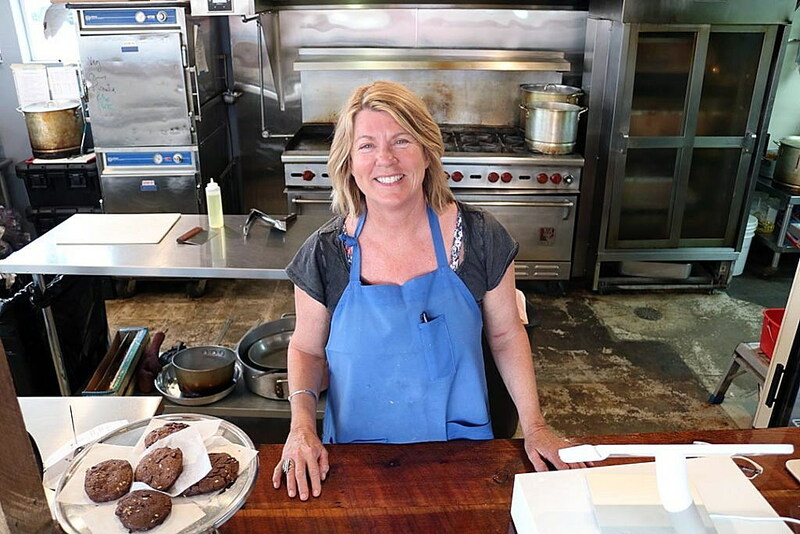 Before the lunch rush on Monday, West recalled her path into the restaurant business, one that stems back to those days in Costa Rica. In Missoula, she ran her food truck for four years, her homemade tamales emerging as a popular and unique offering. Now in partnership with Brittain, Tia’s grows its food locally, taking it from the farm to the table with homemade and locally sourced products. That includes the sauces and stocks, the organic chickens roasting on the rotisserie, and the corn tortillas hot off the grill. Tia’s now occupies what formerly served as the Big Sky Drive-In, and the new owners have opened their lot to other food trucks looking for a place to sell their fare. With a new city park planned across the street on the Clark Fork River and Western Cider ready to open its new distillery, the district that once housed such bars as Trails End continues its transformation. Tia’s, with its colorful presentation, is well positioned to capitalize off the additional traffic, even if that means showing up to work at 6 a.m. to make homemade tamales. West attributes Tia’s early success to its locally sourced mantra and the customer base she built from her food truck. 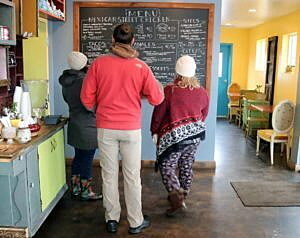 While Missoula is growing, she said, the opportunity for niche dining remains open for those willing to take the chance. From Mexican Street Chicken to tacos, quesadillas and an array of extras, West believes fresh, organic products sets her food apart. And the customers are digging it, she said.